Cruise & Maritime Voyages (CMV) is set to make another major move in North America and will debut a Puerto Penasco-based cruise program later this year on the 550-guest Astoria, featuring Mexican ports. Already bookable, there are six 11-day “Treasures of the Seas of Cortez” sailings on the calendar, starting on Dec. 7. Port stops include Topolobampo, Mazatlán, Cabo San Lucas, La Paz, Loreto and Santa Rosalía. Pricing starts at $1,349 per person, according to the company’s website. 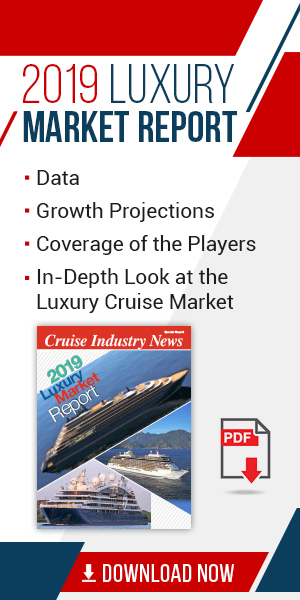 CMV is said to be targeting the Arizona source market, which is a short drive from a new cruise pier under construction in Puerto Penasco (Mexico). Among major moves from the quickly-expanding CMV, the company is targeting the Mexican source market with a separate program which will kick off this winter with the Cruceros Marítimos Vacacionales brand using the 1,452-guest Magellan. The Magellan will reposition to offer its first cruise in early February; part of a two-month program of week-long cruises out of Acapulco, with interporting available in Mazatlan and Puerto Vallarta, and calls in Manzanillo and Cabo San Lucas. Among other news in Mexico, Grupo Vidante is also set to enter the local market in short order. In addition to its new programs in North America, CMV will take delivery of the Pacific Eden this spring as the former P&O Australia ship will be welcomed into the company’s Transocean brand, targeting the German source market.